I’ve talked about how much we love pikelets so many times before, But these are our wholemeal sultana pikelets with no added sugar. And they are super yummy. 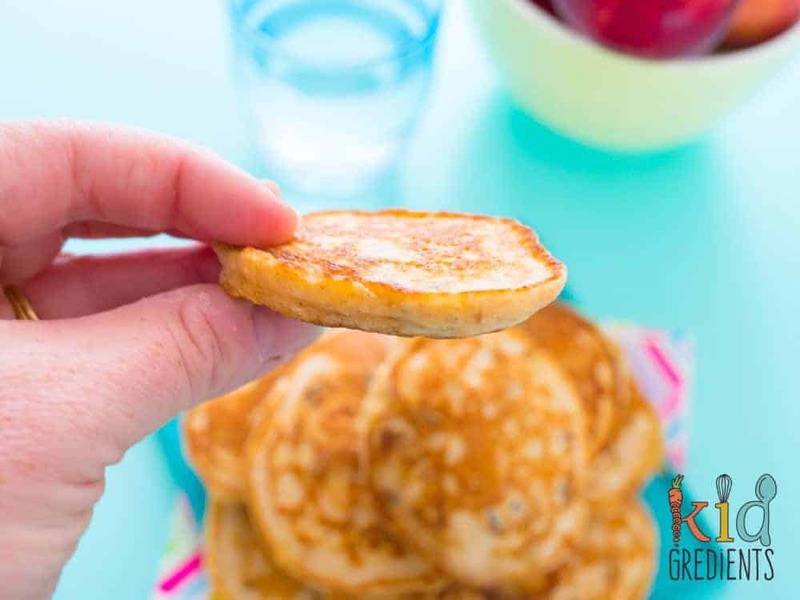 Pikelets are basically kid heaven, these fluffy little pancakes are perfect for kids as they are easy to hold and eat. 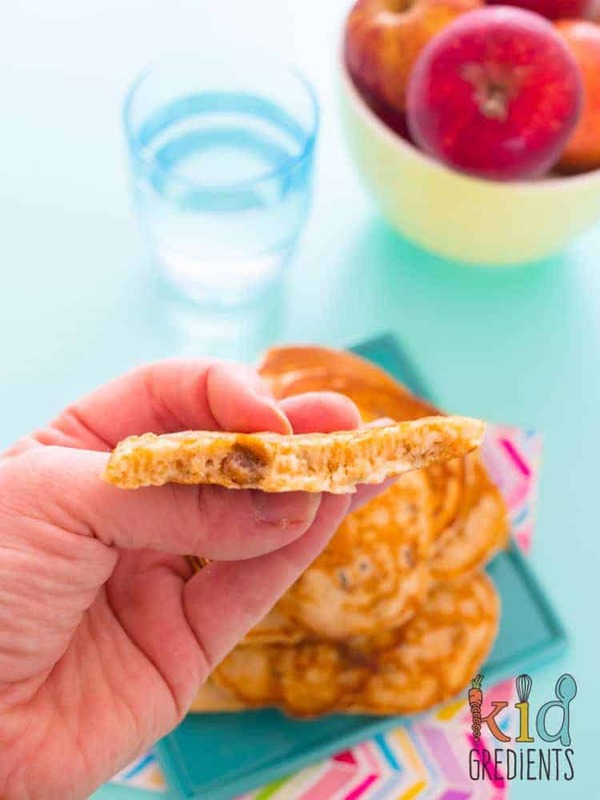 Adding sultanas to pikelets makes them even more kid friendly, because kids love sultanas! Pikelets with wholemeal flour are just that little bit healthier and the other reason I like to use wholemeal is they are also just a little more filling. The sultanas and vanilla give the illusion of these being sweeter than they are. In fact they aren’t very sweet at all, but the burst of sweetness from each sultana makes them every so yummy. If you want to check out some of our other pikelets, there are these pineapple ones and also these super yummy wholemeal dairy free ones! 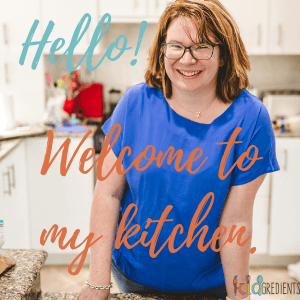 If you’d prefer to bake them, try these baked pancake bites! To add an extra fun dimension to pikelets, serve them with a dipping sauce, we like greek yoghurt mixed with a dash of vanilla for a healthy and yummy dip. You can also spread cream cheese on these for an extra dairy hit and to make them a little more filling. These are perfect in the lunchbox, are freezer friendly and are pretty cool as a breakfast too. If you have a batch of these in the freezer, then it’s easy to always be able to keep the snack attack at bay! if needs be, you can microwave defrost these really quickly and easily. 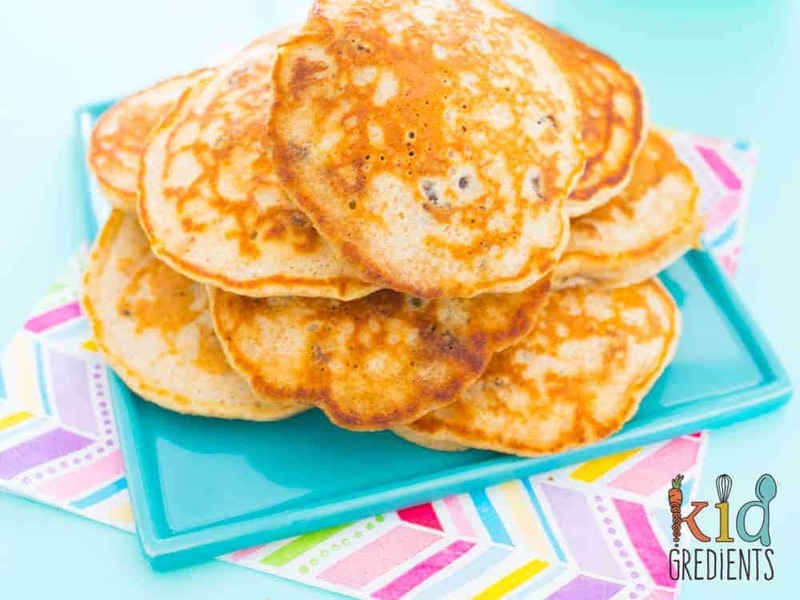 To freeze these wholemeal sultana pikelets without them sticking together, freeze flat on a chopping board or baking tray and transfer to a baggie or a container when they are completely frozen. Defrost in the fridge overnight. I have to admit, these are also perfect for a mummy snack mid afternoon with a cup of coffee! Sultana pikelets, no added sugar! 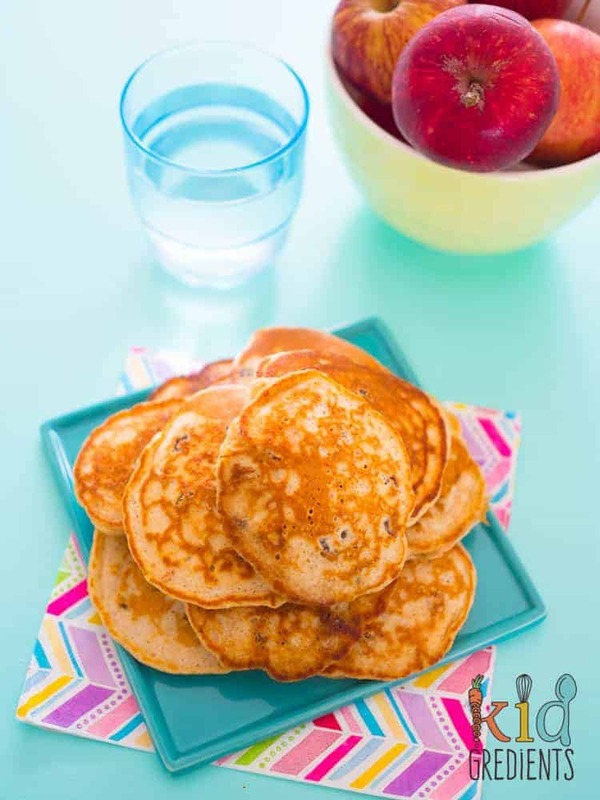 Wholemeal sultana pikelets, no added sugar, perfect for the lunchbox, a mid morning snack or even as breakfast! Mix all the ingredients together using a whisk. Heat a frypan over medium heat and grease with butter, oil or leave if you have a non stick pan. Drop tablespoonfuls onto the hot pan and cook until bubbles appear, then flip. Repeat until all are cooked. Love the idea of throwing sultanas into pikelets! 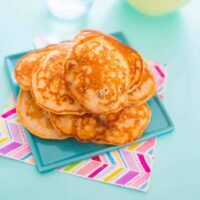 Pikelets are so nostalgic for me – my nan used to always whip them up for me as a treat at her house! And my Pop would mix butter and golden syrup together to spread on and he called it thunder and lightening. 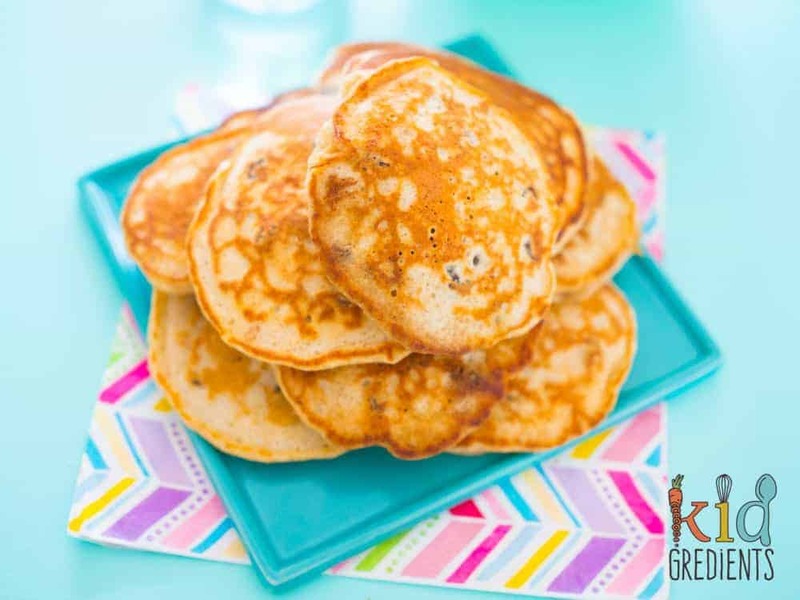 I’ll have to try these wholemeal sultana pikelets soon!